Oil bulls began the second quarter where they left off the first — pushing crude sharply higher on signs of tightening supplies and fading worries over global economic growth. On Monday, West Texas Intermediate crude for May delivery CLK9, +1.80% on the New York Mercantile Exchange rose $1.45, or 2.4%, to settle at $61.59 a barrel, its highest close since Nov. 7. The U.S. benchmark logged a 32.4% rise over the first three months of 2019, its strongest quarterly advance since the second quarter of 2009. The global benchmark, June Brent crude LCOM9, +0.71% ended $1.43 higher at $69.01 a barrel, a 2.1% gain, on the ICE Europe exchange. Brent logged a roughly 25% quarterly rise, also its strongest since 2009. “OPEC’s ongoing production cuts are continuing to help tighten the world oil market. This is helping to offset global economic concerns, which have actually not had any significant impact on crude prices yet as they did from time to time on bonds, stocks and copper prices,” said Fawad Razaqzada, market analyst at Forex.com, in a note. 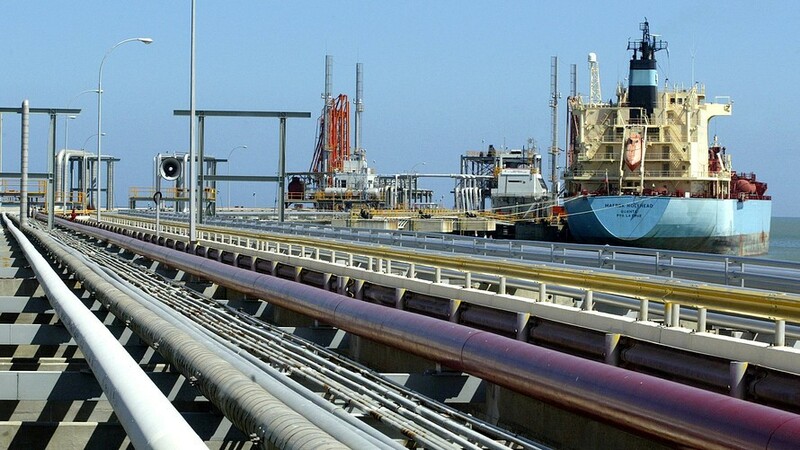 Bloomberg on Monday said its survey found output from the Organization of the Petroleum Exporting Countries fell for a fourth month in April, with Saudi Arabia continuing to curb output and Venezuelan production suffering as an economic and political crisis deepened. OPEC output fell by 295,000 barrels a day to 30.385 million, the survey found. A survey by Reuters found OPEC members pumped 30.4 million barrels a day in March, down 280,000 barrels a day from February and the lowest OPEC total since 2015. Demand-side optimism picked up after the Caixin-Markit China manufacturing purchasing managers index rose above 50 in March, indicating growth. February’s reading came in below 50, which showed economic contraction. But analysts cautioned that rising prices could lead to a pickup in U.S. output after a recent stall in drilling activity. “Although U.S. drilling activity has decreased in recent months and oil output fell in January, production was still up nearly 20% compared to a year-ago period. Now that prices are on the rise again, this will likely encourage some U.S. energy companies to ramp up production again and increase spending in drilling activity,” Razaqzada said. Futures prices remain solidly higher year to date on signs of reduced global supplies on the back of efforts by major oil producers to curb production. Members of OPEC and other major oil producers, including Russia, have pledged to curb crude production by around 1.2 million barrels a day from October levels for the first half of this year to prop up markets. Among the products traded on Nymex, May gasoline RBK9, +1.64% rose 0.9% to end at $1.8989 a gallon, while May heating oil HOK9, +1.27% rose 0.9% to $1.9881 a gallon. May natural gas NGK19, -0.70% jumped 1.7% to finish at $2.708 per million British thermal units, snapping a four-day losing streak.